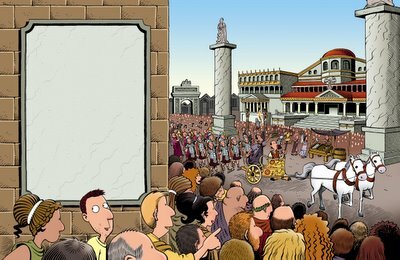 Here's the first ever Horrible Histories job I did, of Ancient Rome. 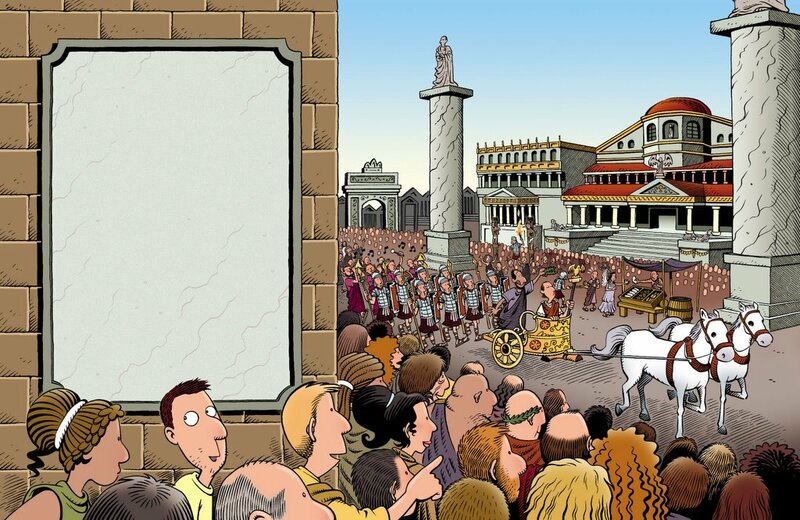 Rather wonderfully, the reference materials I was sent for this job were photocopied directly from the Asterix books. I'm going to start mentioning what I'm working on at the bottom of each post, because the "news" aspect of the old website isn't really being served by my Memory Lane posts at the moment. So, to start the ball rolling, today I was lettering the latest Doctor Who comic strip for Doctor Who Magazine. Yes, I can tell you're excited. Don't worry, it will get better. I don't want to peak too early.